Tired of your boring stock messaging app? Perhaps you’re always on the lookout for the best looking SMS app. Whatever your dilemma, hello sms is here to save you! Stock SMS messaging apps are often known for being boring, lacking options, and overall just providing a bland user experience. Hello sms aims to fix the drab look, as well as give you a more organized and streamlined inbox. Hello sms organizes your conversations unlike any other messaging app, and does so by sorting conversations in tabs that run along the left side of the inbox. It’s a very beautiful design that is obviously inspired by simplicity and ease of use. Perfect for the on-the-go texter who prefers a clean and polished look. The app does a great job at making picture messaging and group messaging easy as well. It also has a neat feature that applies a dark color scheme to the app as night sets in. Oh, and did I mention that the app is completely ad-free? That’s definitely a plus for anybody! Hello sms is a stylish app that simplifies organization in the inbox, and features quick and easy ways to send messages and media. So if you’re looking for a new messaging app, or just want to test it out for the fun of it, download hello sms, and fulfill your texting needs! 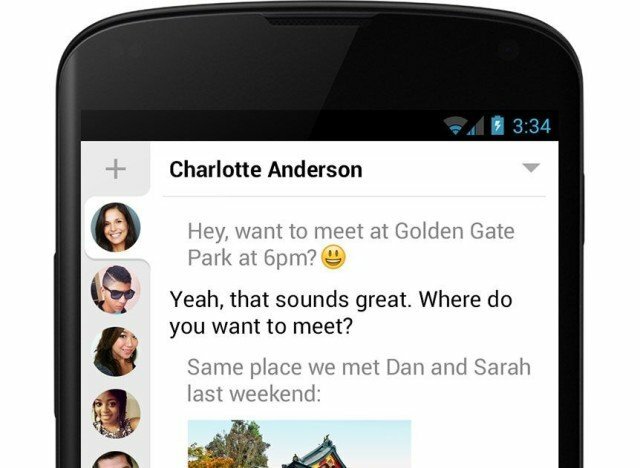 The post Say “Hello” to hello sms for Android [App of the Day] appeared first on AndroidGuys.